One of twelve animals that appear in the Chinese zodiac characterizes each New Year. This year, it’s the Year of the Pig, the twelfth animal in the cycle. The year of the Pig is believed to signify wealth and fortune. It is believed that if one is born in the Year of the Pig, then that person is very tolerant, patient and understanding. They also enjoy life and entertainment. Is the Year of the Pig your year? A rough guide includes 1959, 1971, 1983, 1995, 2007, 2019; future years will include 2031 and 2043. Many KES students, from a variety of Asian countries and cultures, came together to celebrate the New Year. 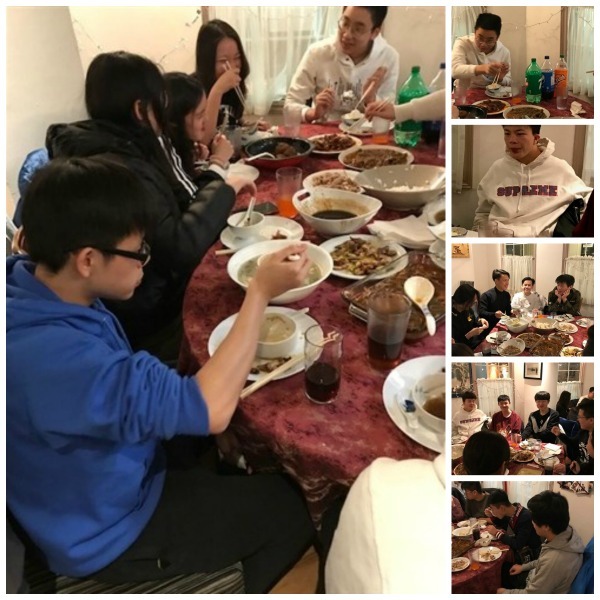 Students and teachers devoured a fantastic spread of traditional Chinese food at the Cheelin Restaurant. We enjoyed delicious food, but more importantly, great company and good cheer. Many thanks to Haoqian (Carson) Yang, head of our International Committee, and his team for organizing this awesome evening. King's-Edgehill School is a CAIS school - meaning we have international students who come to us for our leading programmes in arts, athletics and sciences. Our students have an appreciation for learning new things and independence of thought. Watch the video to learn more about why your child would love to study in Canada, at King's-Edgehill School.